Glacier National Park is a great destination for fall foliage if you don’t mind roughing it. Services and park concessions shut at the end of September and crowds are extremely light. Basically, you’ll have the park to yourself and a few other die-hard camper/hikers. 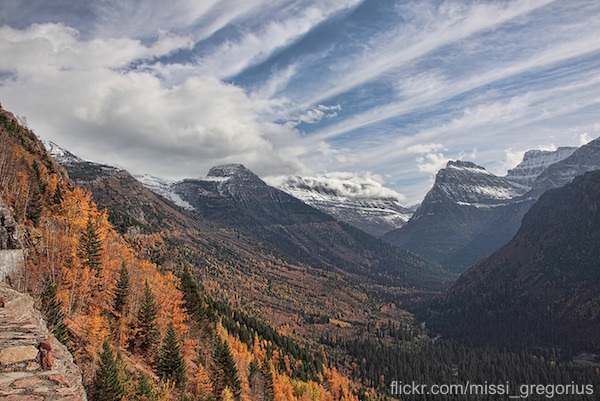 Visit Glacier National Park anytime during the month of October to get the best views.